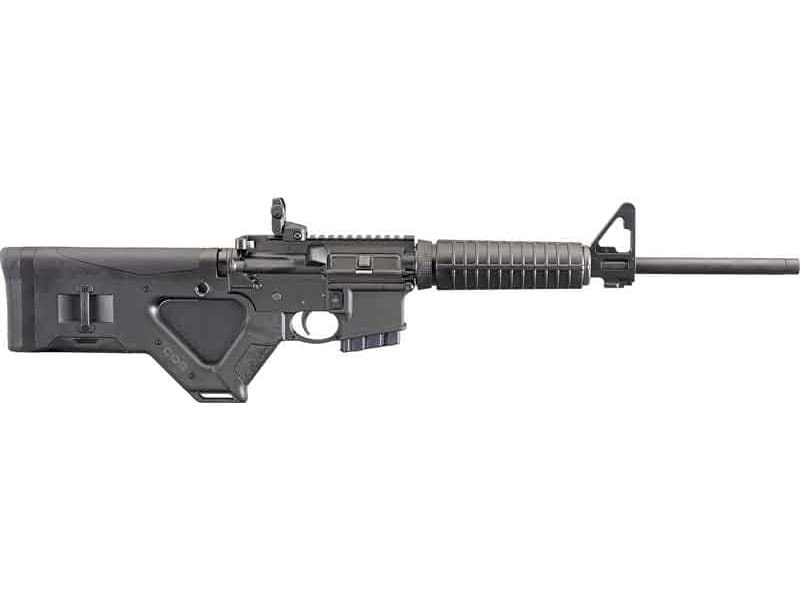 Ruger 8510: The Ruger AR-556 is a semi-automatic, M4 style, direct inpingement modern sporting rifle. 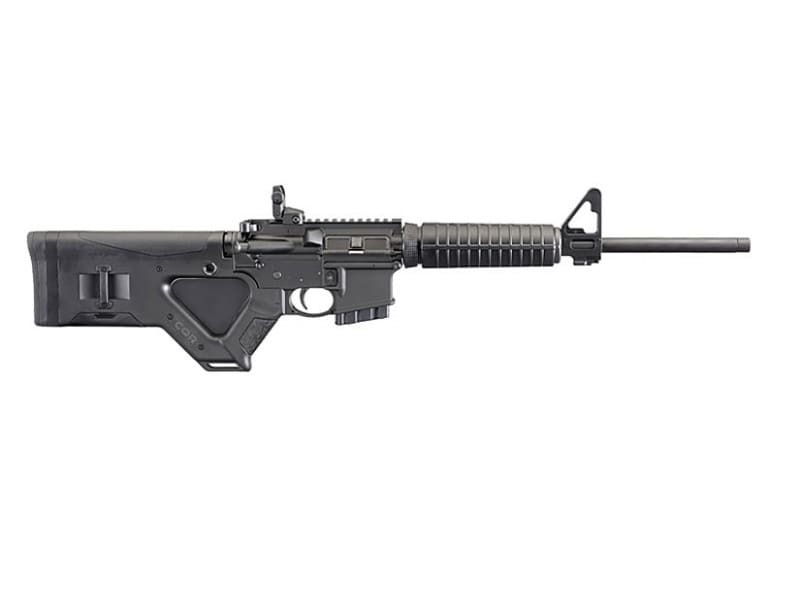 This rifle is constructed from top-quality components including a forged 7075-T6 aluminum upper and lower receivers and a cold hammer forged chrome-moly steel barrel with M4 feed ramp cuts. The carbine-length, flat-top, M4 design is fully configured with a Ruger rapid deploy folding rear sight, milled F-height gas block with post front sight, forward assist, dust cover, brass deflector, six-position stock, improved trigger-reach grip, enlarged trigger guard and one 10-round mag. The multiple attachment points include a QD socket and bayonet lug, for many sling and accessory mounting options.